Any hospital or medical structure is always utilizing needles. However, these sharp needles need to be disposed correctly in order to avoid injury or even re use of these needles without sterilization can be harmful. 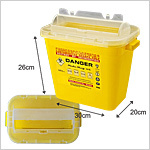 A Sharp Container is used for filling used sharp needles or other sharp medical instruments such as IV Catheters. 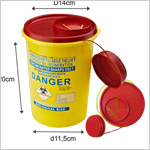 Sharp containers can be of single use or reusable. 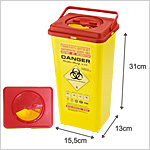 GPC Medical makes these Sharps Containers that are manufactured with the proper parameters to dispose off sharp materials from the hospitals. 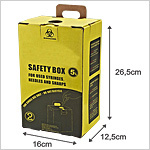 You can view our different products in this category and place your orders. 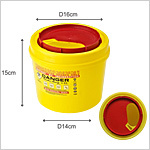 Send Your Buy Requirement For "Sharps Container" AND Get Quote Quickly.